quite possibly the best blog you will ever stumble upon. : The best speaker ever! This cool Scandinavian speaker is currently occupying my thoughts. Called the "Libratone" this cool little speaker does just that...it liberates us from the usual oppression we experience from mundane and commonplace speakers that require wires, lots of space, and ....more wires! The Libratone actually lets you listen to music wirelessly from any iPod or iPad or iPhone, or any other system with that allows a transmitter to be plugged in. 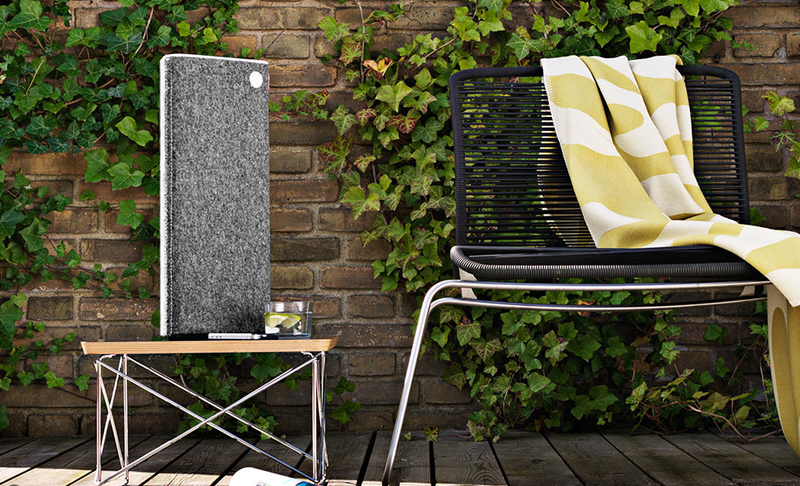 And not only that, the Libratone comes in cool colors with felt! FELT! Felt is something that is quite nice to look at, and it's also eco-friendly! The cost is not THAT bad at around $600, but it's too much for our intern at the moment! Oh, and they aren't actually on sale yet, but will be available in the US starting in 2011! From the website: "Libratone is not just another speaker - it's something entirely different. Regular speakers have closed cabinets that provide one-way sound: That means, your audio experience depends on your position in the room. 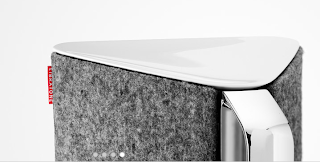 Libratone, on the other hand, works like an acoustic instrument filling the entire room with sound. The tweeters and midrange drivers disperse sound in different directions, reflecting it off the walls, providing 360° sound. We call it FullRoom™ sound - and yes, it's patent pending. FullRoom™ means that no matter if you're walking, dancing, working or playing, and no matter how far you are from the speaker, the audio experience will stay the same." I have time I will be back to read more, Please do keep up the superb jo.